Book Review - "Day out of Days"
Sam Shepard’s voice, hoarse and haunting, has its origins in the parched prairies and wide-open spaces of the American Middle West and Far West. Although early in his writing career he lived in New York, where he worked as a waiter and rock-and-roll musician and cranked out plays by the dozens, his vision has turned toward the West. That is where he focuses his considerable talents now, in this disparate selection of prose pieces gathered together in Day Out of Days. This book is unlike any other collection of stories you will encounter, and yet the stories seem hauntingly familiar, like the fleeting images in dreams. Some of the pieces collected here are short shorts--only weighing in at a paragraph or two--while others ramble on for a few pages. Most of them achieve what American novelist Ford Maddox Ford described as good writing: words that are like "pebbles fetched fresh from the brook." One cannot identify Shepard as narrator in these pieces, although snippets of his life as a writer, as an observer of life, and as a wanderer, emerge--or in any case, we assume it’s him (we never know for certain). He exhibits a penchant for the macabre, in the fine American tradition mastered by Edgar Poe and perfected by the late Texas-born novelist and short story writer William Goyen. Shepard pays homage to Samuel Beckett; he also tips his hat to Henry Miller. He croaks out a love song to Eric Dolphy (a jazz musician of considerable talent who died way too young). This collection is a glimpse into his mind, and let it be said out loud that he is a writer of profound depth. This book demonstrates that there are no limits to his imagination, no matter how repugnant. This is not a cheerful book. There are numerous pieces about beheadings, or headless bodies. There are pieces about violence, about boredom, about abandonment. There are pieces that seem to be ripped out of his drama sketchbook, wherein he is trying out dialogue for a play that never quite made it to a fully realized dramatic rendering. There are pieces about places, but they are not really about those places at all; rather, they are about what the author felt when he was in those places, such as Mandan, N.D., for example, or Quanah, Texas. The book cannot be read casually, and it cannot be read at one, two, or even three sittings, even if its selections are brief. It is a book to pick up and listen to, as Shepard’s dry, hoarse voice rasps out another surrealistic tale. I first encountered Shepard while in college, when Trinity Rep’s Larry Arrick in Providence directed Shepard’s play Tooth of Crime in 1973. That production would herald a succession of uniquely disturbing productions Trinity would go on to stage, climaxing with Buried Child, which won Shepard the Pulitzer Prize. Under Adrian Hall’s direction, Trinity Rep toured Buried Child in India and Syria, thanks to a grant from the government, and can be credited with helping to spread Shepard’s restless talent--like seeds of a milk pod burst open in a windstorm--to the far ends of our world. Shepard blew people’s minds then, and with the publication of this book, he continues in his own tradition of startling readers with the unexpected. "I now have an almost constant swirling chatter going on inside my head from dawn to dusk," Shepard writes. "I never could have foreseen this when I was five, playing with sticks in the dirt, but I guess it’s been slowly accumulating over all these sixty-some years; growing more intense, less easy to ignore. I wake up with it. I feed chickens with it. I drive tractors with it. I make coffee with it. I fry eggs with it. I ride horses with it. I go to bed with it. I sleep with it. It is my constant companion." Sam Shepard is now in his late sixties. In an interview recently, he was quoted as saying he is coming through a period of trying to wrestle with his demons, particularly those centered around alcohol, which got him into hot water in Illinois recently on a drunken driving charge. A gifted actor, director, playwright, and musician, Shepard has said he listens for the music in language to convey the rhythms of human life. Reading this book of short pieces brought me back to his work from the early 1970s. I was a student learning how miraculous and unsettling theater could be. Encountering Shepard and his strange musical rhythms at Trinity Rep changed my life--and the lives of many others--forever. 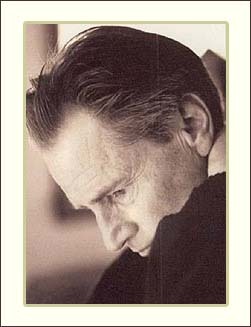 Sam Shepard, in the best pieces from this book, has that kind of effect: his work is transformative and harrowing.